As we move inexorably towards the end of yet another year, it is inevitable that we think back on what the old year has brought. One of my favourite memories of 2015 is the visit we; Carl, Shérine and myself, paid to a couple of volcanic monuments in southern Sweden; Rallate and Jällabjär, at the end of April. In spite of Volcanocafé usually dealing in “big” volcanoes and eruptions, this week’s article will deal something very small, inconspicuous and ancient. Most of us do not live close to something big, imposing and recent, yet anything volcanic can be of interest and immensely satisfying seen close up and first hand. 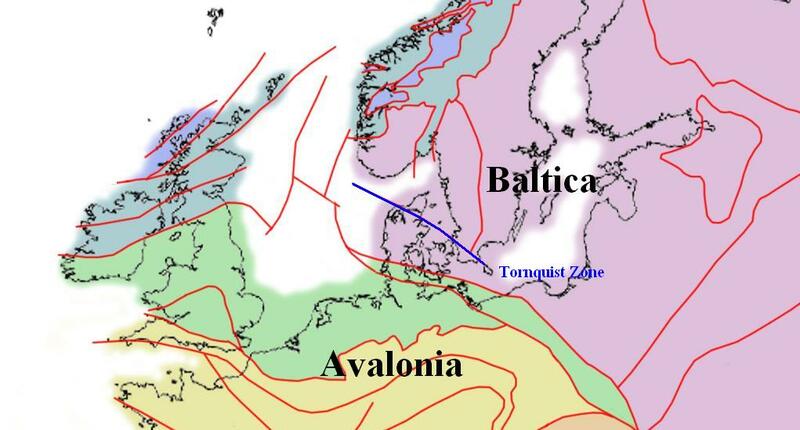 With the break-up of the super-continent Pangea, the southern region of Fennoscandia (Scandinavia, Finland and the Kola peninsula) was subjected to stresses and about 190 MY BP it began to crack along a line known as the Tornquist Zone, named after the German geologist Alexander Tornquist. 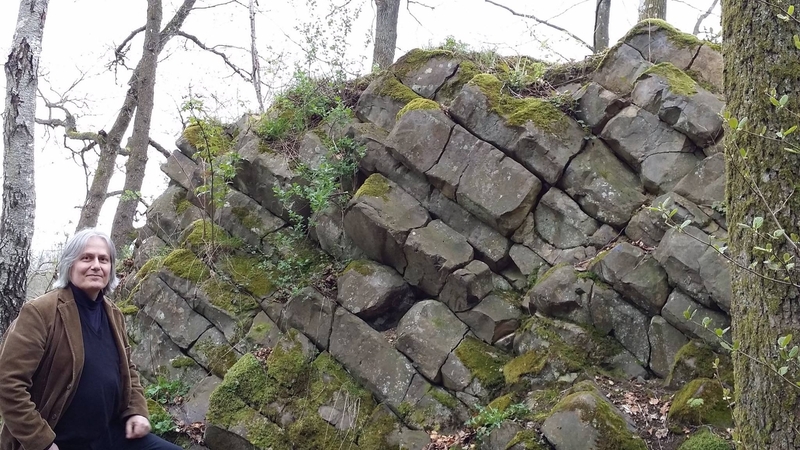 This was on or near the border between the igneous bedrock of the Baltic Shield and the mainly sedimentary continent of Avalonia as they collided. For a period of approximately 100 million years, the Tornquist line was volcanically active and at the time when the basalt pile at Rallate was formed, 110 MY BP, there were approximately some 150 volcanoes along the Tornquist zone. Located a very convenient 20 m from a main road with a parking zone a mere 150 m away, the small pile of columnar basalt at Rallate is easily accessible. It was formed 110 MY BP when magma solidified inside the volcanic plumbing and as it cooled, it shrunk to form the six-sided columns typical of basalt. As these columns tend to align perpendicular to the front of cooling, their orientation, roughly at 30 degrees from the horizontal, indicate that this may have been a side vent of a larger volcano. In spite of numerous periods of glaciation, the small basalt pile at Rallate has survived because of the hardness of basalt and its high degree of resistance to erosion. Another interesting observation was that the usually white Wood Anemones (Anemone nemorosa) were discoloured, a violetish purple, in certain areas. This is indicative of copper being present in the soil, so in spite of not bringing along a complete laboratory, we were able to say something of the mineral composition of the basalt. In bygone days, discoloration of flowers was a very important diagnostic tool of mineral prospectors, so in that sense we were also walking in the footsteps of ancient miners. Once the weather had cleared sufficiently, we set out for Jällabjär, a volcano proper located about three or four miles away from Skäralid that rises some 60 metres above the surrounding landscape. Although its shape resembles that of a volcano, it is in fact the result of glacial erosion. After trekking an exploratory 200 metres, Carl and myself being better albeit still insufficiently shod as well as being the gentlemen we are, began to debate if proceeding was not best deferred when to our surprise Shérine took the lead and maintained it to the very summit, something that left Carl and myself slightly, erm…, winded. As we progressed, we noted the signs of the boar infestation currently plaguing Southern Sweden even if the boars themselves kept out of view. From old constructions such as small bridges over brooks and agricultural enclosing walls, it was easy to see that this was indeed volcanic land as igneous rocks, predominantly basalt were omnipresent. Some were more interesting than others as they showed unmistakable grains of the minerals pyrite and chalcopyrite whereas even more interesting were the few ones with well-separated feldspar and quartz in direct contact with basalt. By now, unfortunately none of the photographic appliances brought along specifically for such an occasion (i.e. cell phones) were working which was a shame especially since some of the views were stunning. So, does it have to be big in order to be of interest? My own answer to the question initially posed is no, it does not! I am certain that quite close to where you live, there is something volcanic of interest, so why not meet up with a couple of friends and go for an excursion! At the very least you ought to have a nice outing and, with a slice of luck, be able find a place that serves a decent coffee plus pie and custard. so I’m curious – are all the ordovician volcanoes eroded away ? As it happens, I live next to a fossilised Ordovician volcanic island (the Builth Inlier) in the middle of Wales. It’s not so much a question of having been eroded away, but rather semi-eroded, buried, exhumed, squidged into a mountain range, and then what was left eroded to the hilly surface you see today. You can’t look out of the window and see the outline of an Ordovician volcano, of course, but you can just about see the layers that formed the most extensive eruptions, because they tend to form the high ground (well, those and the dolerite intrusions). Nice story, thank you! Yet another example of where two scientific disciplines, biology and geology interact. 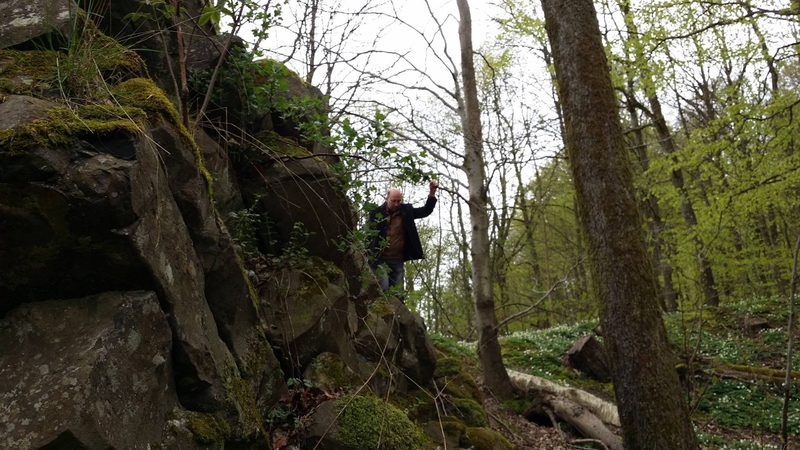 Not a million miles from where I live, there’s another interesting example in the table mountains (hills really) of Västergötland. Because of basaltic eruptions having covered limestone deposits, these have survived the manifold periods of glaciation. 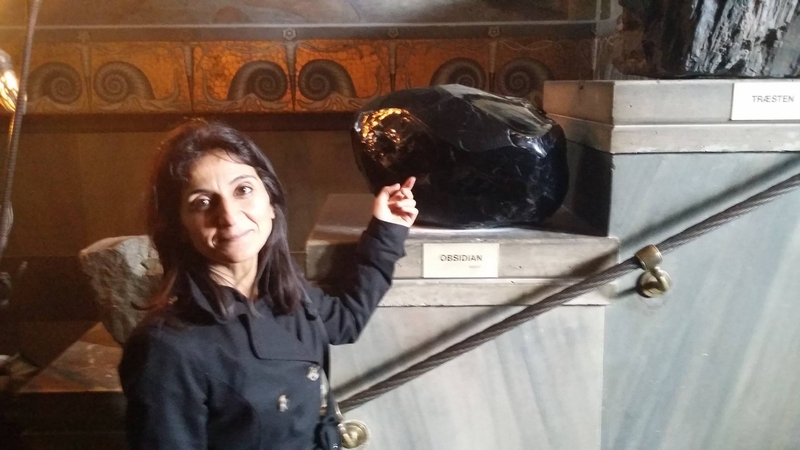 Yes, the protective effects of igneous deposits can bequite impressive. The Afon Gam Biota (the first Burgess Shale-type fauna from Avalonia) is only preserved intact next to large dolerite intrusions that cast a strain shadow – the rest of that formation is metamorphosed. There’s a nice example on Arran, as well – the only chalk remaining on the island is a xenolith that fell into a caldera in the Central Igneous system! Thank you Henrik. Unfortunately, I won’t be near a computer for a while. I love hikes and some of them have been to and in volcanoes, from small cinder cones to steaming active ones. Don’t know how much longer I can do those things. …..And what exactly is going on with the geology of the Isle of Skye? It must be the most beautiful place I’ve ever seen, and mostly because the rock formations are just…weird. Trotternish Peninsula and the Quiraing in particular…What’s going on there? And Doggerland (Where men and the mammoth once freely roamed). There seem to be quite a few volcanoes down there under the bottom of the North Sea, one of the reasons so much gas an oil is found there. 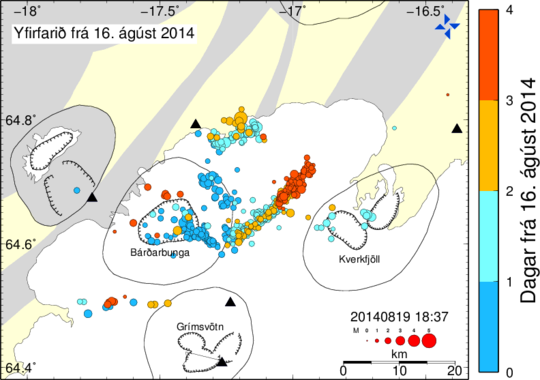 Small swarm is still persisting at Langjokull. Thank you Henrik. I like the reference to flower colours. 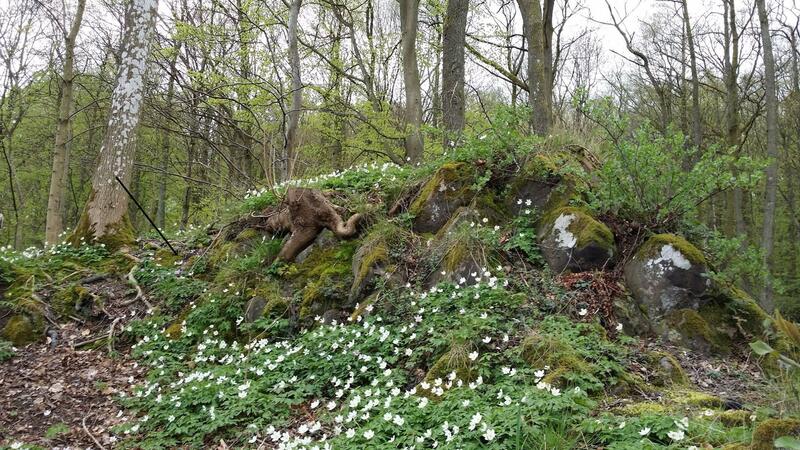 Our Wood anemones are very white as we live on the remains of a very large delta so no great mineral seams. . We have deposits of sand, muds and the carbonised remains of tree ferns that grew in the marshy land. The river that formed the delta must have been huge! Sandstones, shale and coal seams we have in abundance but nothing volcanic .Down our lane I do find many nice pebbles of granite, basalt, gniess and shist. brought down from northern areas by the glaciers during various Ice ages. However a couple of hours South or south west and we have the Malvern hills very ancient volcanic rocks and the Mountains of North Wales. To the North there is The Lake District. Again nice volcanic rocks and very complicated geology..We also have some rather fine faults that do produce the odd earthquake! In my locality (Stourport on Severn )there is a local area of ancient woodland which provides the best show of wood anemones I’ve ever seen anywhere. We’re on a very sandy red soil here, associated with the low ridges of Kinver Edge, and water falls through that soil as if it were a sieve. The flowers are a pristine white. I had never thought that discolouration could be the result of soil composition…Obvious though.. I should have known this as an RHS-trained former plantsman. Early next spring I’m going to Shrawley Woods and I’m going to have a much closer look. Couldn’t it be the result of, not calcium but potassium propagation? 😉 IIRC potassium salts burn with a reddish cast to the Bunsen flame. There’s a local saying around these parts for an activity which has you following blind leads, and wild goose chases, or simply having to go through all sorts of rigmarole to achieve the intended result. One is said to have gone “All round the Wrekin” . The Wrekin is a large hill about 30 miles away, standing alone on the flood plain of the river Severn near Telford, and is reputed to be the remains of an old volcano. It is also the site of an important iron age hill fort. At some point I really should go have a closer look. Masaya seems to be headed towards an eruption. Interesting that two volcanoes of each have side of Masaya activate in a short time period. Eh, the closest thing volcanic around here are some Jurassic era volcanics buried under about 15 km of sediment offshore and south of Mobile Alabama. Not counting the small piece of basalt from around Edinburgh that a friend sent me. Wife took off with her daughter to go shopping. Left me here to fend for myself. Does she think for one moment that I will not fry up some catfish? Catfish, crab bites, and pickled okra. Yeah buddy! You mean there are other ways to prepare it? We grow several different kinds of hot pepper including Jalepeno, Thai Hot, New Mexico Chillis and EspPiment d’Espellette. Hmmmm, each has a different flavour and use in our cooking. I was talking with my cousin via text messaging the other day. Evidently, she still remembers what happened to her husband on their wedding day. I was on the back deck/porch eating breakfast, and showing my mom some Habaneros that I had grown. (she appreciated hot peppers as well). The groom walks over and asks what the small peppers were next to my plate. I nonchalantly stated “miniature sweet bells”. Before I could stop him, He said “Oh, I’ve never had one of those”, and swooped one up and bit off half of it. … and that was his initiation into the family. My uncle (his father in-law) thought it was hilarious. Like my mom, he also appreciated hot peppers. The bad part of it was that I was quite proud of how hot these had come in. I know for a fact that he was in serious pain and I’ve felt bad about it ever since. But, according to my cousin, her dad thought it was classic and really though the whole event was the funniest thing ever. As for growing them. My last attempt at a garden failed horribly. My tomato vine started climbing the neighbors tree and never fruited. However, the only thing that did actually produce were my Serranos… after I neglected the garden and let it go to weeds. I’m not overly fond of Serrano, they are somewhat bland by my taste. Yes, but they are generally considered lame by my way of reckoning. Well, as usual we gave some fresh produce to my son, wife and little boy to take home with them. I put some long, Spanish-type sweet peppers as well as other vegetables in a sack. As a last minute thought I put some Jalapenos in the sack. Our little grandson about 3 or 4 y/old at that time loves our Doux de Espana sweet peepers and prefers them raw and does not care much for candy. He love other crunchy veggies too. His mom accidentally gave him one of our Jalapenos thinking it was a small sweet pepper. Jalapenos come in different heats and we grow the hottest. He bit into the Jalapeno and keep chewing. He got red in the face, did not cry and kept eating it. His mom saw what was happening and took it from him. He was fine. Capsicum runs in our blood I guess. Tabasco. Cold,wet day here still.. The sediment covered foolsday volcano doesn’t count does it? Neither the pieces Rhyolite displayed all over my place found, bought and send to me from far away places, Patagonia, Ochoco Mountains, Thuringian forest, Massif d’Esterel, Welo, Jerusalem Mountain…. etc. I will have to travel from our lowlands to the Eifel Maars I guess, to explore something volcanic nearby. More volcano related is a piece I found, just across the street on the pushmoraine. It is a mossagate, probably formed somewhere in Rhineland-Palatinate/Germany. It once was a gasbubble or crack in igneous rock, was filled with agate, eroded into free space, was transported by river to a sedimentary basin and finally was pushed by glacier to the moraine across the street. I found, cut and polished it. Most nearby volcanic thing is part of an eroded print of a gasbubble or crack, once captured in lava! A woman in our rock hound club took the sledge from the water-lubricated rock saws and put it in her flower garden. 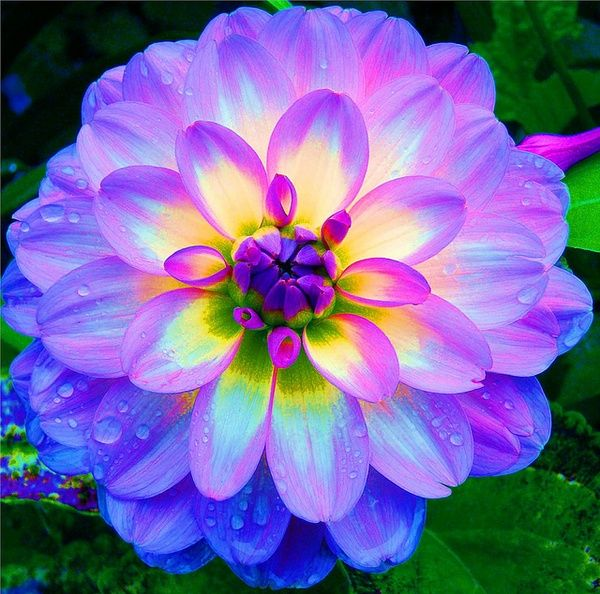 She would bring the most incredible dahlias to our monthly meetings and they became popular “door prizes”. Very unscientific, but full of surprises. The Netherlands is probably not the best place to look for a volcanic heritage. Or for any ancient geology. Deltas tend to bury their past. There is an old crustal block (London-Brabant Massif) underlying much of the country, and perhaps this protected the area against proper activity? Actually we do have two active volcanoes (Mount Scenery & The Quill). Which is not a good sign considering our rotten luck with them. Aside of those, if you are willing to invest in a little road trip. There should be some interesting places in Germany and France to visit. 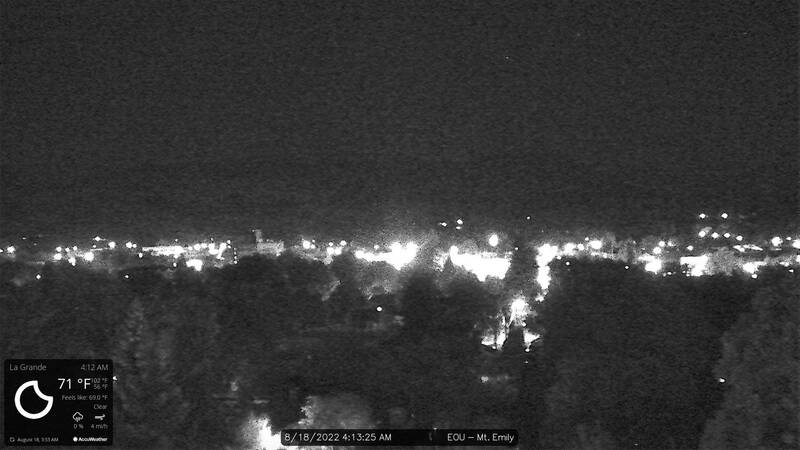 Small and shallow quake in Hekla this morning. It was Christmas Eve, and Ola went down to his boathouse to get the keg of brandy he had bought for the holidays. When he got in, he noticed a draugr sitting on the keg, staring out to sea. Ola, with great presence of mind and great bravery (it might not be amiss to state that he already had done some drinking), tiptoed up behind the draugr and struck him sharply in the small of the back, so that he went flying out through the window, with sparks hissing around him as he hit the water. Ola knew he had no time to lose, so he set off at a great rate, running through the churchyard which lay between his home and the boathouse. As he ran, he cried, “Up, all you Christian souls, and help me!” Then he heard the sound of fighting between the ghosts and the draugr, who were battling each other with coffin boards and bunches of seaweed. The next morning, when people came to church, the whole yard was strewn with coffin covers, boat boards, and seaweed. After the fight, which the ghosts won, the draugr never came back to that district. That said, this is well worth keeping an eye on! Given that Carl just left on holidays, it probably is something interesting.. Looking at the map, it is almost exactly the point where the initial dyke from Bardarbunga, which went towards the SSE, met the fractures from the spreading ridge, stopped and turned north. That puts it at the saddle point of the spreading ridge. The quakes are 5-10 kilometer below the original dyke and I guess are not related to it. My guess would be a small adjustment in the ridge due to pressure from the re-inflation of Bardarbunga. But it could easily be a stand-alone event. I’m very little more than a novice (and by some standards, I am not even that!) but one thing that has puzzled me about this swarm is that if it were associated with a magma intrustion – as the depth of the earthquakes might lead us to infer – we’d expect to see harmonic tremor, especially in the lower frequency range. But if I am reading the tremor guages correctly, there hasn’t been any harmonic tremor. Please correct me if I am wrong! But on this basis Albert’s reading of events makes most sense to me. It gives a nice 3D idea how things could be, down there below. I find the small quake swarm certainly interesting at this depth. A month ago or so there was another such swarm a little to the north, under Kistufell. I am watching Iceland not long enough to have an idea if these small swarms at that particular depth are unusual. No expert, at all though. Almost hidden in all the data is a small and somewhat prolonged event at Eldey (Reykjanes Ridge) yesterday (Thursday) with seven M1.2-2.3 quakes at 9-10 km depth. Because of the weather, it’s masked on the drumplots and tremor charts but this is where we almost had an eruption six months ago (unofficial IMO source to Carl) and it’s right at the bottom of the crust. New topic by Albert is up! For those who still need to do some christmas shopping..